Brazilian singer and composer Luan Santana is one of the most famous and successful artists in his home country. His first live album was a bestseller throughout 2010, shifting over 500,000 copies. It remains among the best-selling albums in Brazil. After additional successful albums, Luan Santana produced a DVD at the Parque Maeda o Vivo in São Paulo. 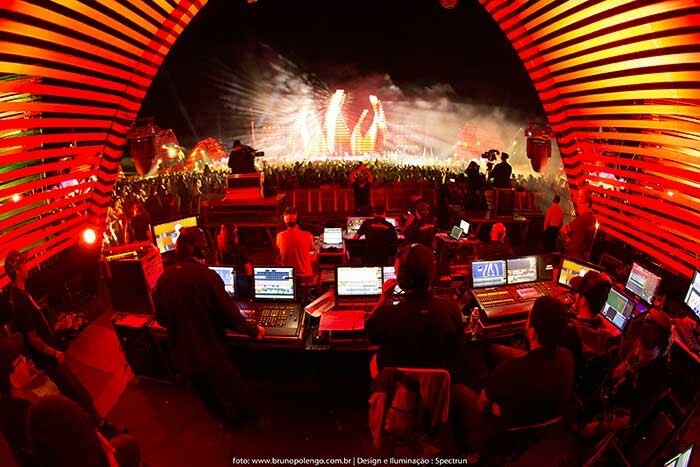 DVD director Joana Mazzucchelli, and lighting designer / DoP Marcos Olivio, were assisted by an MA system consisting of two grandMA2 light, a MA onPC command wing, a MA onPC fader wing, two MA NPUs (Network Processing Units) and four MA 2Port Nodes onPC PRO. 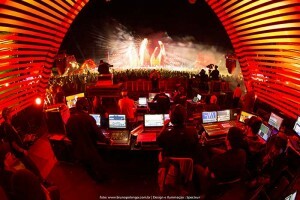 This setup was used to control around 488 fixtures including loads of LED sources. Marcos Olivio commented: "First of all the MA system is the most reliable on the market which was key to us. Second we used grandMA 3D for preprogramming which gave us many benefits in terms of the time schedule and pre-visualization of the show. Third the grandMA2 offers a powerful solution to control lighting and video with just one tool. In the end we worked with multiple stations in the same session to integrate and control everything which gave us a clear advantage because of the faster programming." 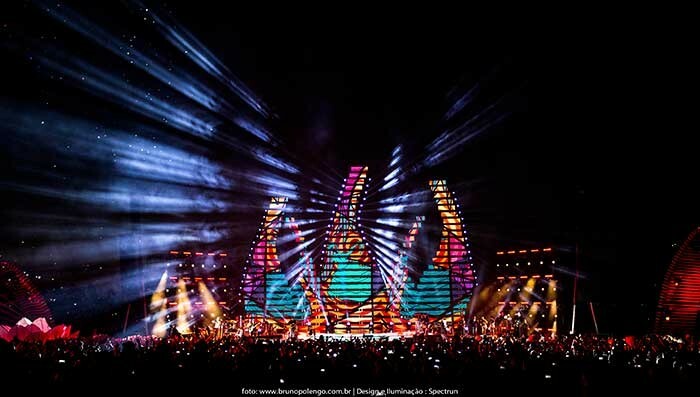 Ludimila Machado was the set designer, Erich Baptista the video content designer, Paulo Lebrão the lighting programmer and operator and Menga Cruz the video programmer. 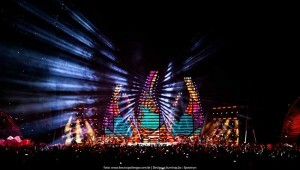 Spectrun Design e Iluminação delivered the lighting equipment, LEDCom all LED screens, Image4u the media servers.